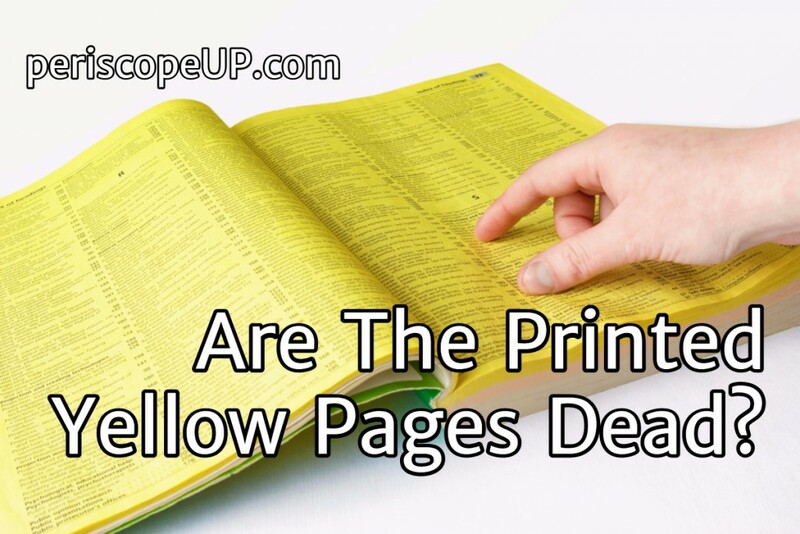 Are The Printed Yellow Pages Dead? Should anyone advertise in the Yellow Pages (printed version) anymore? No. The answer is always “No,” and the answer will be “No” for the foreseeable future. It should be obvious by now. If you’re a local service provider, your prospects are looking for you online, using their desktop, smartphone, and their smart home devices driven by voice commands. And this should be the end of this blog. Make your site a target Google can’t miss. Call us at (443) 475-0787 or Contact Us online. However, a portion of businesses are still committed to buying advertising in the Yellow Pages. Approximately $3 Billion dollars last year was paid by local businesses for a print ad. They still drop one at my front door every six months or so. It goes straight into the recycling bin, but it’s in my hand long enough to remind me at one point, the Yellow Pages was the size of a dictionary. Now it’s tiny, the size of a short novel. On one hand, it makes sense. Just take a look at Google Trends. 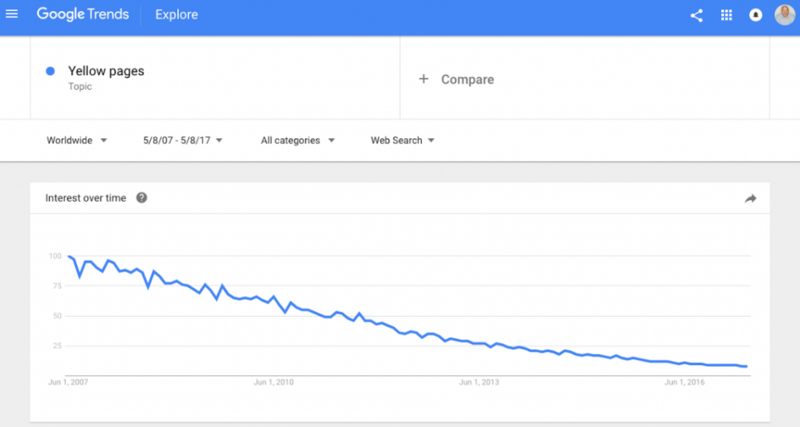 To be sure, Google Trends isn’t measuring use of Yellow Pages, but just interest over time. Or the lack of interest. Consumers do not use the Yellow Pages. Most businesses don’t advertise there anymore. But, on the other hand: Why are advertisers are still buying Yellow Pages advertising?! Likely because they do not know how to leverage online advertising, search engine optimization, and web analytics. And that’s the short list. There are review sites and your competitors websites, they should keep an eye on too. It’s certainly daunting for a local business owner to consider an online approach when it is so easy to send a check for $900 to Yellow Pages, copy over the listing from last year, and then move on and forget about it. However, our prospects are online. Business owners must get there, too. First step, cancel your Yellow Pages ad. Stake out your online presence. Call us at (443) 475-0787 or Contact Us online. By Eric Kronthal|2017-12-27T19:53:52+00:00May 10th, 2017|Blog, Google Local, Link Building, Local Search, Local SEO, Marketing Strategy, Pay Per Click, PPC, Search Engine Marketing|Comments Off on Are The Printed Yellow Pages Dead?